1460 Days of Working from Home! Today I'm celebrating 1460 days of working from home! 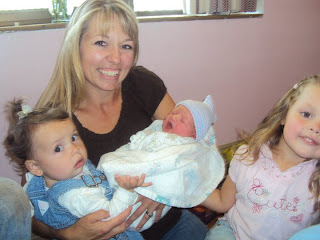 4 years ago I had been searching for a way to help bring in a little extra income for our family. At that time we had an 18 month old daughter and we we're expecting our second daughter. I never imagined the blessing I would find. Sure the extra income has helped enormously through the past 4 years but more than that I've grown as a individual! I've been enabled to work with some extraordinary women who have enriched my life more than I ever thought possible. That's 1460 days of hugs and kisses with my girls, having dinner ready for my husband when he gets home from work. 1460 days of growth. 1460 days of playing Barbies and working with great moms. As we sat at the dinner table tonight we had a conversation about Jesus. Our three year old Lilian made this comment... "Jesus closes his eyes and holds everybody's hand and never let's go." How amazing is that! To have faith as a child, to be able to see things that as adults we don't see. But she is right!! What peace those words brought to me tonight as we finished our meal. And then I went to my Bible and these words jumped out to me, "For I am the Lord, your God, who takes hold of your right hand and says to you, Do not fear; I will help you." Isaiah 41:13 Such perfect peace! Valentines Day (or anytime at that). Edible bracelets. We started with a bowl full of liquorice. I cut it into pieces. Make sure it's the kind that has the hole through the center. We then used some stretchy string, and fished the liquorice onto it. Ta-Daa! Easy enough for a 3 year old to do. And she like eating it as well! I'm so glad you stopped by my blog! I would love for you to stay awhile and visit often. You can join the blog hop as well by linking up HERE. The new thing that my youngest daughter loves to do is get the vacuum! It never seizes to amaze me how different each of my children are. When my other two girls we're babies they we're scared of the vacuum. Cadence on the other hand Loves it! I think a combination of the light on the front, vibrations, noise and movement, grabs her attention. You might be asking what is Microblogging? Twitter, Facebook and Tumblr are all examples of microblogging. Microblogging is where you share events from your day, links, photos or tips with a short sentence. It differs from traditional blogging in the sense that your quickly sharing information to your audience. Update several times daily. By posting often you'll be building a following. When sharing information share 1/3 personal experiences, 1/3 informative, and 1/3 Business related. Link your Microblogs together to save time. Microblogging is about communicating. So ask questions and get your readers involved. Once your reader replies to a post be sure to respond back. Be authentic and keep the hype out of your posts. Readers want to see real experiences. Microblogging is becoming such a tool for business builders of all walks of life. From large corporations to small home based businesses. So stake your claim and become known! If you would like to learn more about marketing follow me on Facebook and Twitter! 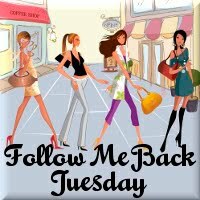 Today is Follow Me Back Tuesday!!! I'm so glad you stopped by my blog! I hope you stick around a bit and have a look around. Get linked up by visiting HERE. That time of year has begone again. Calving! We now have a new little girl - Jan (because she was born in January). Jan gets feed several times a day. It's such a fun time and the girls love the new baby, but I must say this does become more of a chore for me. These are the memories I hope my kids keep with them for years to come. Stay tuned in for more posts about Jan, I'm sure there will be many! So I started thinking, how much simpler would things be if I decided to organize a bit? Might save time and energy! Here are all of the games in one place on the first shelf of our coat closet. The girls we're so excited to see them all! Now to get the rest of my house this organized. Isn't it amazing how children are so eager to try and try again. Take for example a baby that is learning to walk. That baby will first pull herself up, then she will stand and then she will take her first steps. Along the way she may fall but as she consistently trys over and over she will end up with the success of walking. As adults we are often so eager for success that we forget the work that needs to be done before we can have that success. Consistency is key! By consistently doing the daily activities to improve ourselves we then find we've not just met our goals but passed them. You'll want to go to Hobby Lobby or local craft store and look in the jewelry section. You can buy these charms that come with two pieces of pre-cut glass and metal edging. You'll then need to find a few of your favorite pictures! I printed them off of my computer in the smallest setting that I could find. I put my piece of pre-cut glass on top of my picture and traced around the edges to have the exact fit. Then cut it out right inside of the traced edges. You'll find that the metal edging has a small tab on the side. By lifting this tab you will be able to open the edging. Once the edging is open you'll insert your photo's. You can do a front and backside with different photos if you like. Here is the end result! Super cute. You can choose to put your charm on any necklace you have or make one with some beads (as shown in top photo). This is a fun way to "show case" your kiddos! 1. Create your dream board on a piece of card stock. 2. You'll want to print off pictures of things you want to have, places you want to go or personal desires. 3. Place realistic dates next to your photos. Being precise about when you want to achieve your goal helps you to put a time line into perspective. 4. Once you've built Your Dream Board, be sure to place it in a place that you see often in your home. This is an example of my Dream Board, I have both personal and business related goals that I WILL achieve! The snow has been falling all day long! On days like these it makes me super grateful to be a human that is able to warm up in a cozy house. But this morning we went out in the snow to help with morning chores. Here's a quick shot of the bulls eating. Chris breaking ice so the heifers can get a drink. More ice breaking. As you see I'm such a help, lol. More of an encourager, ha. The girls we're so glad to have a treat on this cold morning. As you see it's SNOWING some more. An expected 2 - 4 more inches yet tonight. It's hard to believe that I'm a mom of three little girls. And with that gift that God has given me I want to raise our children up in His honor and teach them as best as we can. With that being said we have a decision at hand. There has been a new law passed in the State of Nebraska that states - through the public school district, that the tax payers do not want to pay for any child who has turned 5 before October 15th to be in Pre-School. Our oldest daughter is in Pre-School this year. She turned 5 this past summer and because she has been enrolled in her Pre-School program before this was brought to the parents attention she get's to remain there (with a few tweeks from our school district). On the other hand our middle child will turn 4 this spring. So with the states new laws we will need to send her to Pre-School in the fall of 2011 and then she will go to Kindergarten in the fall of 2012. This may not seem like a Huge issue, but for me I'm struggling. I feel very blessed by the fact that the school chaters to the Pre-Schoolers with transportation to and from school, amazing teachers, great food and a safe environment. On the other hand I would feel much more comfortable if my child we're a year older when she graduates high school and ventures off into the world. My little sweetie coloring some more. I'm sure she will do amazing at school whenever we send her but I want her to have the best experience possible and excel. Has anyone else had a similar issue? What have you decided upon? It's time for Follow Me Back Tuesday!!!! Link up Here! And for all who have stopped by, THANK YOU! Please stay awhile and look around. We girls spent some fun time with Nana. Cadence smiled for the first time. Had some fun sister time. Went on a shopping trip with some of our best friends! Roofed our house- Chris and I did it!!!!!! Helped my in-laws celebrate 30 years of marriage. Saw a few beautiful rainbows from our front porch. Our Dog Lucy had a liter of puppies. Had a few Pedi. days :) So glad I have girls! Mandy took swimming lessons for the first time, passed and ready for next years. Met a really good friend for the first time in person! Fooled around with some turtles, One of our favorite pass times while checking cows in the summer months. Rode horses - One of my favorites! I learned how to make this cool scarf out of old t-shirts. Dedicated Cadence. It's amazing to me how much she has grown this year. Spent lots of fun time with the entire Maddux family!!! Mandy learned how to sew. My oldest girl turned 5! And my Middle girl- Lily, she turned 3!!! More time on the back of a horse. Chris feed his cows by hand. Took our girls to a pumpkin patch for the first time. Mandy and Lilian we're flower girls in our Cousin Jenny's wedding. Cadence gained 12 new teeth in 2010. I became an aunt to my sister Jessie's little bundle.... Charlie Marie! Such a huge highlight! We've been blessed in 2010 and are so excited for a prosperous 2011. Whoop!